It’s been eight years since the start of the global financial crisis, and like a bushfire that has left turmoil in its wake, recovery and regrowth soon follows. Given the time that has now passed, the green shoots of business recovery are well and truly established; however, one thing that is certain is that the legal landscape has changed. Following the initial slash and burn to stay afloat in the financial crisis, businesses have now moved on to the next stage in recovery. This means the conversation has moved on to sustainable working practices: efficiency and value are key focus areas and high on the agenda of many business leaders and general counsels. To date, cost reduction has been a common theme, regardless of where business is based. Over the past few years, the obvious routes to achieve these cost reductions have been taken through redundancies, spending cuts, non-essential office closures and so forth. Hong Kong has not been exempt from this and has seen businesses take the same steps in local offices. So how does a legal team transition now from a cost focus to start looking forward to drive efficiency and value in their business? Beyond the traditional law firm and the in-house legal team structures there is now a wide spectrum of legal services that have emerged, predominantly, to meet the evolving needs of in-house legal teams. NewLaw providers have positioned their services as solutions for in-house legal teams to enhance their efficiency. These legal services include NewLaw (or alternative legal services), legal process outsourcing and automated technology. This is in addition to the law firms that have embraced the challenge to innovate, diversify and provide alternative services for their clients. 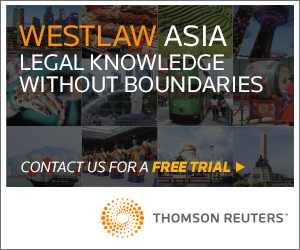 However, until recently, in Asia, there has not been as many available options to in-house legal teams by way of alternative solutions when compared to their US or UK counterparts. In the US and the UK, NewLaw solutions have become almost commonplace and the number of providers has increased in response to demand. Why is this a growing trend? And are these solutions only viable for the UK and US markets, or are they capable of being embraced in Hong Kong as well? 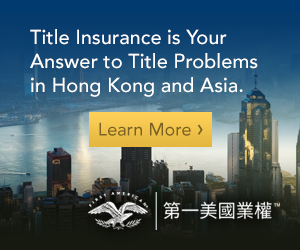 A 2016 survey by the In-House Congress Hong Kong showed that 82.1 percent of in-house legal counsel have used or would be willing to use a NewLaw alternative service provider. But, if so many are willing, why is it not yet part of the everyday conversation with legal counsel when they look at how they can operate more efficiently? If there was a show of hands across in-house legal teams, far fewer than 82 percent have actually engaged a NewLaw solution. Some of the barriers for legal teams include the lack of time and/or support, resistance to change, budget constraints and limited suppliers. Although, there is one area of NewLaw that is quickly emerging as an easy win: flexible interim legal resources. This is just one of the many alternative legal services available, but it seems to be more readily embraced, likely due to in-house counsel being able to see its immediate benefit. For example, to deploy cost saving and efficiency driving products, such as legal process outsourcing and automated technology, general counsel often must prepare detailed business cases for board level approval that justify the potential upfront costs and time that must be invested to set up the product and get it running. However, in the case of flexible resourcing, the business drivers are more obvious and its benefits are immediately realised. 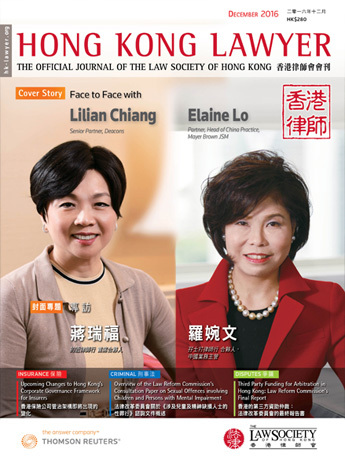 Thus, it is not surprising that many in-house legal teams in Hong Kong, both international and local firms across a wide range of sectors, are embracing it. 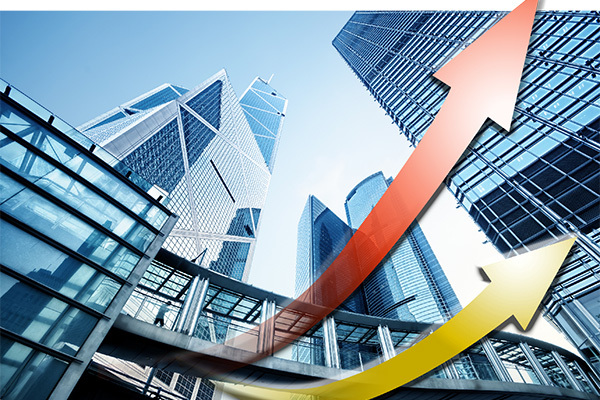 While corporates’ use of flexible resourcing is encouraging, the number of businesses utilising this service represent just a small sliver of businesses in Hong Kong. As many in-house legal teams currently have lean operations, some being as small as just one lawyer, change can have an immense impact. Utilising a NewLaw solution such as flexible resource could enable legal teams to be more responsive to organisational changes and corporate legal needs. This solution could be deployed to cover a peak in workload, to bridge a gap within a niche skill area, to cover work generated by a new project or by staff taking parental leave or during gaps when recruiting talent. With NewLaw and interim legal resources, there is flexibility but also cost certainty for the period of the engagement. It is also a more cost effective solution than engaging external counsel. Also, there are no termination fees for redundancy should a contract end earlier than expected, unlike redundancies for permanent staff. Across the globe, businesses must respond quickly to change. As there is still a lot of instability in the market, it is essential for legal teams to respond with the greater efficiency and look at new products to drive value. It is difficult to know if a business plan and team structure now will still be fit for purpose in two years’ time. This holds true regardless of whether a legal team is based in the US, UK, Australia or Asia. Having a NewLaw solution to engage interim resources means legal teams have the ability to bulk up skills in a particular area. It also allows corporates to dedicate temporary resources to a project that may only have a limited lifespan or in some cases, to try a new team structure on a temporary basis before committing to engaging permanent headcount. The growing number of NewLaw providers in Hong Kong should increase demand for their services amongst in-house legal teams in Asia. The key NewLaw providers currently based in the local market are currently Axiom, Korum, Lawyers On Demand (previously AdventBalance) as well as law firms such as Allen & Overy and Eversheds with their respective services of Peerpoint and Eversheds Agile. It is hoped that the Hong Kong market follows the same trend as the UK. In 2011, the market for NewLaw flexible resource started with just 4 to 5 providers; in 2016, there are now more than 20 different providers in the UK. This means greater choice for in-house legal teams, as well as greater volume of opportunities for the lawyers who want to work more flexibly. If over 80 percent of in-house legal teams are willing to engage a NewLaw service provider, it suggests the market is still underdeveloped and there is likely room for growth. However, to sustain growth, NewLaw providers must continue to expand and tailor their services and offerings. 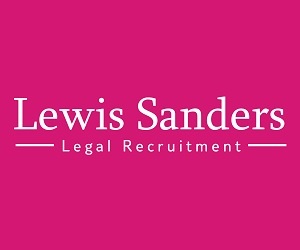 Moving forward, current providers and new market entrants will both need to determine if there are a sufficient number of lawyers in the market who want to work flexibly, whether there currently is enough work from businesses to keep these lawyers employed on temporary assignments, as well as whether in-house legal teams are constrained by other factors, such as resistance to try a different solution or lack of internal support from stakeholders such as finance or HR. The advantage that Hong Kong has in engaging these NewLaw providers is that the model has been tested elsewhere and has proven successful. Now it is just a case of adapting it to the local market. However, it is important to note that one key difference between NewLaw providers operating in the US and UK markets, versus those in Asia, is the lawyers they retain – with those in the US and UK possessing a broader range of legal expertise and areas of specialism. To be successful, NewLaw providers in Hong Kong must ensure that the lawyers they retain have the requisite experience to cover the breadth of international work, as well as locally generated work. It is also vital for them to understand the importance of China as a business partner and retain lawyers that possess required language competencies and cultural awareness. There have been NewLaw providers in the Hong Kong market for several years, but the pace appears to be picking up, with new entrants to the market in the previous 12 months. Given the increasing buzz from businesses as demand has picked up, it is reasonable expect further growth in 2017 and beyond. Albeit, all change takes time.